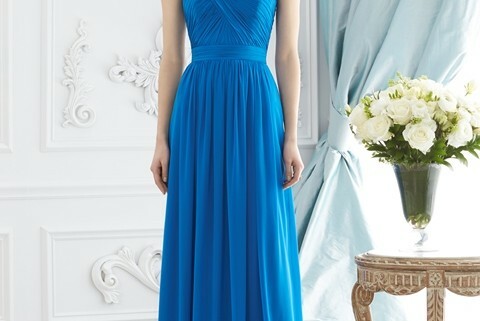 Are you on a quest to find bridesmaid dresses? What if I told you that you came to the right place! We’ve put together a list of the trendiest colors to be worn that 2015 has to offer especially for the spring and summer. Your bridesmaids don’t have to look similar from every other wedding. In fact almost every bridesmaid has one huge fear, that she will be stuck wearing a hideous dress at her sister or best friend’s wedding! These unique and sophisticated colors will give your bridal party a fresh take and a glow of confidence. This color palette will be sure to make your bridesmaids stand out from every other bridal party. This first gorgeous color is blush. Such an elegant shade of pink it is soft and feminine and sometimes seen as lighthearted. This color will look great with ivory bouquets. Our next color is Mint this is the perfect color choice to brighten up any wedding with its natural liveliness! 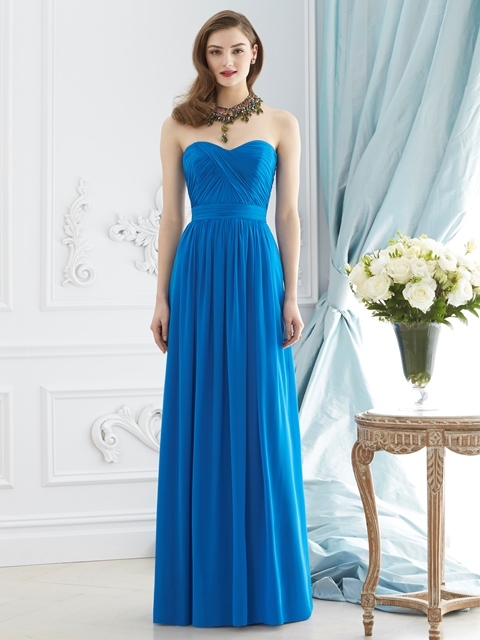 This color dress will look great with ivory and peach colored accented bouquets. Right now Gray is one of the hottest colors for bridesmaid dresses. Gray in past years has been put on the back burner, but this color has been revived and it looks better than ever! Making sure that your bridal party doesn’t look faded, match up the dresses with a canary yellow bouquet. Ready to welcome in spring with your fabulous wedding? Try a bold Turquoise bridesmaid dress for your bridal party and white stark bouquets with orange accents; these contrasting colors will really make these shades stand out. This mix of colors will leave an everlasting impression with its bright theme. If you would like to take on a classic romance theme, champagne color bridesmaid dresses paired with classic ivory bouquets is your match. This spring and summer has plenty of pastel bridesmaid dresses so why not change it up? Whether you are tying the knot in an indoor celebration or a gorgeous outside celebration champagne color will work well with both settings.